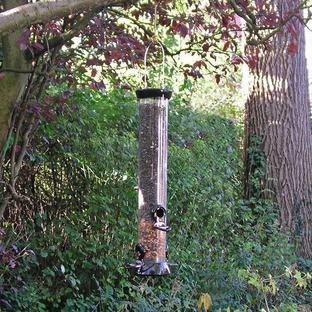 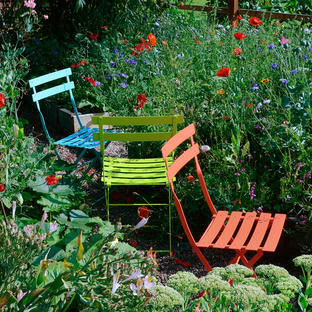 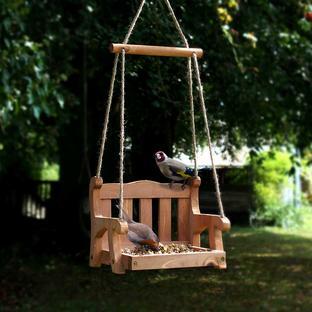 Give a little style to your bird seed storage. 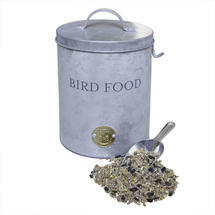 A much more stylish tin to store your bird food in than the usual boring ones. 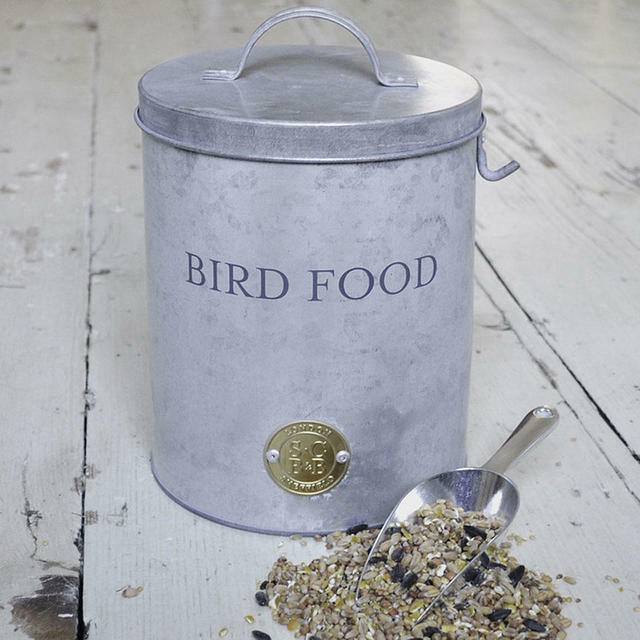 This lovely galvanised tin comes with a handy scoop to save getting bird seed under your finger nails when filling up the feeders. A practical lid will help keep the seed dry and clean and a little hook on the side to hang the scoop on.